We only do training for groups of 2 or more at work places using their equipment unless hired in. What is the cost of Training in Sydney & NSW? A USI is required for any nationally recognised course. IMPORTANT: To make sure we keep all a student’s training records together, the USI will be linked to the student’s name as it appears on the form of ID used to create the USI. The personal details entered when a student creates a USI must match exactly with those on their form of ID. If a student has no proof of ID from the list above, they will be required to contact their training organisation about other forms of ID they can accept to help a student get a USI. Step 2 Have contact details ready (e.g. email address, or mobile number, or address). Step 4 Select ‘Student Entry’ and then Select ‘Create a USI’ link and follow the steps. Step 5 Agree to the Terms and Conditions. Step 6 Follow the instructions to create a USI – it should only take a few minutes. Upon completion, the USI will be displayed on the screen. It will also be sent to the student’s preferred method of contact. Step 7 The student should then write down the USI and keep it somewhere handy and safe. What is Yellow Card Training? 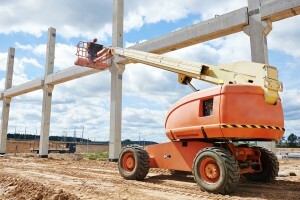 The EWP, Yellow card is a nationally recognised operator training program administered by the Elevated Work Platform Association Of Australia (EWPAA), the peak representative body for this industry. The EWPA Yellow Card programme aims to confirm that the operators of specific types of EWPs have been trained and are competent in the safe use of the work platform. Also to provide documentary evidence that the required ‘duty of care has been met or exceeded. A Yellow Card Ticket issued to operators who have been successfully trained by an accredited EWPAA trainer. What is covered in Card Training? What can I do if I have lost my EWPA Yellow Card? Call or email the Elevating Work Platform Association with your full name and details on (02) 9997 5133 info@ewpa.com.au. 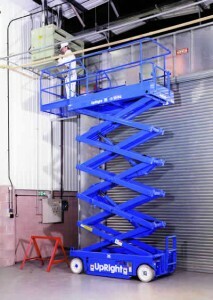 Do I need a Yellow card for a scissor lift? 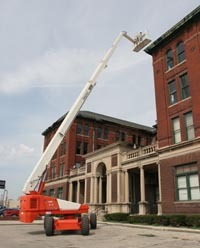 Yes but there are no height restrictions for scissor lift. Do I need a Yellow card for a vertical lift? Do I need a Yellow card if I already have a EWP High Risk Work Licence? I have an old Yellow Card without a photo, is it still valid? If you are a Contractor on a site, they may require the new Yellow Card. In this case your best option would be to do the new Yellow Card training. 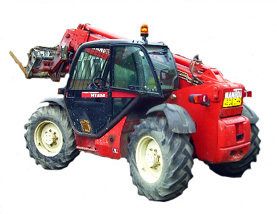 A telescopic handler or telehandler incorporates a telescopic fitted with a lifting attachment, including Fork tynes, buckets, work platforms & jibs. These are variable reach rough terrain type vehicles. What is a Gold Card? What does a Gold Card cover? 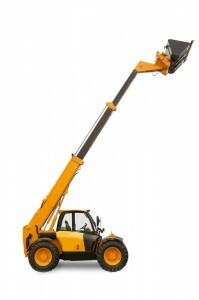 Does a forklift license cover the use of forks on a Telehandler? Why do I need a Gold Card? Employers must provide the information, instruction, training and supervision necessary to ensure the health and safety of employees at work. in the business or undertaking. Monitor the health of workers and conditions at the workplace. We only do VOC’s for groups of 2 or more at work places using their equipment unless hired in. What is VOC – Verification of Competency? There are questions about how well the original training and assessment was conducted. Unfortunately not all training organisations are reputable and the process may not have been done properly. What areas can be VOC’d – Verified? A VOC takes 3-4 hours depending on the actual course undertaken, number of people and their level of training and experience. For more information please call 0410 019 149. Do you need to do Refresher Training? What Refresher training is Available? How often should Refresher Training be done? Annual Driver Training is the best way to ensure your staff operating equipment safely and productively and businesses are complying with their legal obligations. What does Refresher Training Cost? What does Refresher Training Cover? Can I proceed straight to an assessor for a high-risk work licence? No. A licence applicant must engage with an RTO before proceeding to a high-risk work licence assessment with a WorkCover accredited assessor. The RTO will determine when the applicant is ready for assessment. How old must you be to get a High Risk Work Licence? To be SafeWork NSW (WorkCover) assessed for your High Risk Work Licence you must produce 100 points of identification. This identification must be from the below table and must include the trainee’s date of birth, current address, photograph & signature. Documents provided must be original. Certified copies will not be accepted. The documents must include photo ID, name, current address and signature. You do not have to provide a primary document. You may use a combination of secondary documents. At least 1 document must have your photo & current address. If you provide more than one credit card, savings account card or statement, they must be from different financial institutions (2 different banks). If you provide more than one utility bill, they must be from different utility providers. ALL documents provided must contain your name in full, not just your initials. Note: Only one primary document can be used. Must be the original documents. Copies or extracts will not be accepted (must have mothers & fathers name). The assessment can’t be conducted without enough or correct ID. A re-booking fee will apply. What is the difference between a LF and LO forklift licence? The LF Forklift Licence allows you to drive any Forklift except for an Order Picker/Stock Picker Forklift and is the most commonly obtained licence. The LO Forklift Licence allows you to operate the Order Picker/Stock Picker type Forklift. How long does it take to get a High Risk Work Licence? Where can I do the training? We only offer training at your workplace. How do I obtain a licence to perform high-risk work? Trainees must enrol in an approved course with a Registered Training Organisations who manage the training and assessment for high-risk work licences in NSW. The new licence will be called a National licence to perform high risk work (HRW licence), and will be recognised in all states and territories. National certificates of competency (NCOCs) are also recognised nationally, but will be replaced with the new high-risk work card at their five-year renewal date. Pay a fee and process the WorkCover Paperwork through a Post Office. Why are there photos on the new HRW licences? Photographic licensing is aimed at reducing fraudulent copying and swapping of licences. Can certificates be cancelled or suspended? the certificate is gained using false or misleading information. Certificates issued by another state certifying authority may be cancelled or suspended on advice given to the certifying authority by WorkCover. A NSW certificate may be cancelled or suspended on advice received by WorkCover from another state certifying authority. NCOC photo licences are valid for five years from the date of issue. Additional classes may be added to your card at any time upon payment of the relevant fee, however the original expiry date will not change. Where do I lodge my NCOC photo licence application? Individuals issued a Notice of Satisfactory Assessment (NSA) from a SafeWork NSW (WorkCover) accredited assessor on or after 4 September 2006 must lodge their application at any Australia Post Bank@Post outlet in NSW or the ACT within 60 days of issue . Where is my nearest Australia Post outlet? Locations of outlets may be obtained by calling Australia Post on 13 13 18, or visit www.auspost.com.au/pol/. What must I have to apply for a new NCOC photo licence at Australia Post? All NSW-issued NCOC cards held in your name or a letter of authority from WorkCover if your NCOC cards are lost, stolen, damaged or in a previous name. Will Australia Post accept my application if my NSA was issued more than 60 days ago? No. NSAs are only valid for 60 days from the date of issue. You will need to contact a WorkCover accredited assessor for reassessment. A new NSA will then be issued. The same criteria as those used for the assessment. How do I change my name on my NCOC licence? Contact SafeWork NSW (WorkCover) on 13 10 50 for details about changing your name on WorkCover-issued licences. What should I do if I have changed my address? Contact SafeWork NSW (WorkCover) on 13 10 50 and provide the details about change of address. This should be done with 14 days of moving and will allow WorkCover to send out notification of when you license must be renewed. How do I obtain a replacement licence if it is lost, stolen or damaged? Contact SafeWork NSW (WorkCover) on 13 10 50. Where do I get a NCOC application form? Your assessor will issue you an application form. Photocopies cannot be submitted. How long will it take to receive my NCOC photo licence? How much does a National Certificate of Competency (NCOC) photo licence cost? replacement application fee – $34 per card. Are the national certificates recognised throughout Australia? Nationally uniform Certificates of Competency issued by SafeWork NSW (WorkCover) are automatically recognised throughout Australia. Certificates do not have to be changed over to work interstate. Nationally uniform certificates issued by another state certifying authority allow the holder to work automatically in NSW. Although some States and Territories do not issue certificates for the operation of all classes of load shifting, certificates issued in NSW on a national card will be recognised as evidence of a person’s competency in this area. A person coming from a State or Territory which does not issue load shifting equipment certificates must obtain a Certificate of Competency in NSW. This is achieved by undertaking an assessment with an accredited assessor. Can an Assessor assess soemone who lives in another state? An applicant must reside in the state to which they are making their HRW licence application (for new applications and renewals). If an applicant resides outside that state circumstances must exist to justify a licence being issued. Often, pre-approval of the regulator to assess must be obtained by the RTO prior to enrolling the applicant in training.If the applicant does not live in the state or territory, the assessor must not conduct an assessment in that HRW licence class without approval from the regulator. The form of the approval may change from one jurisdiction to another.RTOs should apply for approval prior to enrolling an applicant with an interstate address in the training course.Note: an applicant must be able to provide at least one piece of acceptable EOI to show residency. What are the options for perfroming high risk work? 2. be engaged in formal training with a Registered Training Organisation (RTO). Can I skip the training and go straight to the assessment? No. You may be able to get credit or recognition for experience you have gained in the workplace previously, but you will have to satisfy the assessor that you have achieved sufficient competence and experience to be able to successfully undertake the assessment. This is normally in the form of a training record (logbook) and formal RTO statement. You could also apply to undertake a process of Recognition of Prior Learning (RPL). As a condition of their accreditation, licence assessors are not permitted to conduct an assessment for a HRW licence unless they sight evidence of formal training and supervised practical training or experience in some form acceptable to the RTO. Is my old life time licence or non-photo license still valid? These licences are no longer valid. Is there a High Risk Work Licence for earth moving equipment? No, employees must ensure competency of the operator. This may include a Statement of Attainment, Qualification Card, Certificate of Competency, or old High Risk Work License. Formal competency based training and assesment by an Accredited Registered and Training Organisation is recommended.